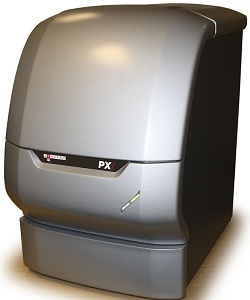 SYNGENE says its new PXi multi-application image analysis system is currently the best in its class for scientists imaging chemiluminescent and fluorescent blots, as well as 1D fluorescent stained gels. The high resolution 6.3 megapixel camera and large fixed aperture lens can quickly image even the faintest bands, says the company. A range of lighting, including infra-red, can easily be fitted. It adds that scientists can generate perfect images of chemiluminescent blots, as well as 1D gels (up to 10x12cm) stained with any fluorescence and IR commercial dyes, with a single click. PXi comes complete with GeneTools, Syngene’s image analysis software, which automatically producing ; 1D lane analysis, molecular weight, and quantity results within seconds.